West Virginia Landlord Forms provides landlords of West Virginia rental properties with all the essential landlords forms needed on a daily basis and for every situation that may arise during the course of a tenancy. When you try to draw up your own residential lease document or other West Virginia landlord forms, you run the risk that the forms do not protect you should you have to seek assistance from the court for any reason during or after the tenancy. Including the written Residential Lease with your West Virginia landlord forms provides you with the comprehensive rental agreement that you need, providing the date and terms of the tenancy. Save expensive attorney fees and get your residential lease and all your other West Virginia landlord forms from the American Apartment Owners Association, the trusted name in providing landlord forms created by industry professionals. If you require a security deposit from your tenants, document the date paid and the amount of the security deposit with the Rental Deposit Form. Once you approve your tenant, but before the tenant actually moves in, using the Move In/Move Out Checklist protects you and your tenant at the beginning and end of the tenancy. You and the tenant go through the entire property, documenting any pre-existing damages or areas in need of repair. After the tenant vacates the premises, both of you again go through the property and note the condition of the premises. If damages occurred that are not due to normal wear and tear, landlords sometimes decide to file action against the tenant to recover the cost of repairs to the property. Landlords can explain deductions for the cost of repairs or unpaid rent when sending the Disposition of Security Deposit and remaining security deposit to the tenant after the tenant moves out. Another one of the essential West Virginia landlord forms is the Notice of Entry. Do not expect to just show up anytime you wish and expect the tenant to gladly open the door and let you in. If you need to make repairs or improvements to the property, you can provide this proper advance notice to tenants, noting the date, time and reason you need to enter the property. Unfortunately, not all tenants are good tenants and you need a variety of other West Virginia Landlord Forms. The Past Due Rent notice informs the tenant that rent is past due. It gives benefit of the doubt to those tenants who honestly forgot but puts those tenants on notice who deliberately failed to pay the full amount of rent when due. If the tenant still fails to pay rent, the Pay Rent or Quit Notice informs the tenant to pay past due rent immediately or to vacate the premises. If the tenant still refuses to comply with your demand to pay the past-due rent, the Notice of Termination of Tenancy informs the tenant of the termination of the tenancy within a specified time period. You can also serve the tenant with the Notice of Termination of Tenancy if the tenant fails to comply with the Notice to Perform or Quit. Landlords have the right to terminate a tenancy if the tenant refuses to correct a violation of the rental agreement for reasons other than non-payment of rent. These reasons include issues such as failing to keep up the cleanliness of the inside or outside of the property, failure to abide by specific policies such as allowing adults not on the lease to live in the home or having pets when you do not allow tenants to have pets. You could pay expensive attorney fees to have your residential lease and other West Virginia Landlord Forms created by your attorney. Then you get to sit and wait until your attorney calls and tells you that your West Virginia landlord forms are ready for you to to pick them up. Instead, you could decide to trust American Apartment Owners Association to provide you with all your West Virginia landlord forms that are essential to have on hand at all times throughout the course of every tenancy. 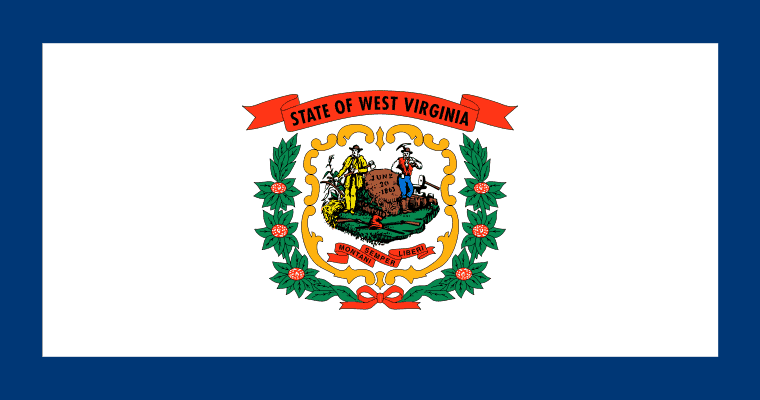 West Virginia landlord forms created by industry professionals provide the terminology and key points essential to providing the high-quality forms you expect to have available when you need them. West Virginia landlord forms not only provide you with the right form at the right time but also can provide documentation in court should you take legal action against a tenant. The American Apartment Owners Association provides landlord forms nationwide. Looking for a state other than West Virginia?